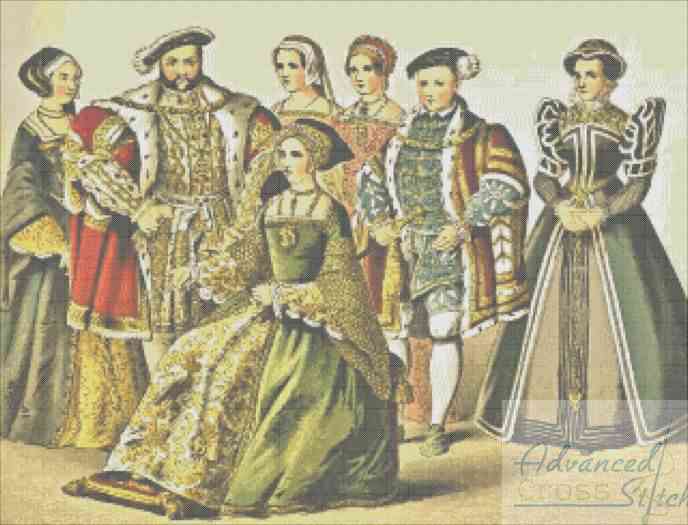 Here is King Henry and his family as a cross stitch pattern. This pattern is 320×244 stitches and contains 163 colors. I just made this one quickly for a friend, but it’s sort of a small size. This pattern is only 150×144 stitches and I actually recommend that you do it on dark cloth, you can then skip doing the outside black border. It contains 41 colors. 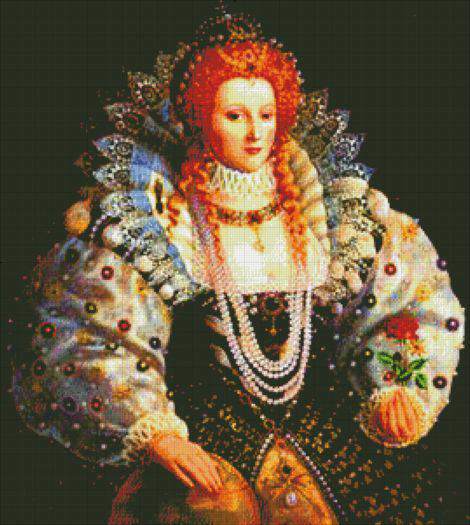 Here is Queen Elizabeth 1, dressed in one of her famous costume like gowns. 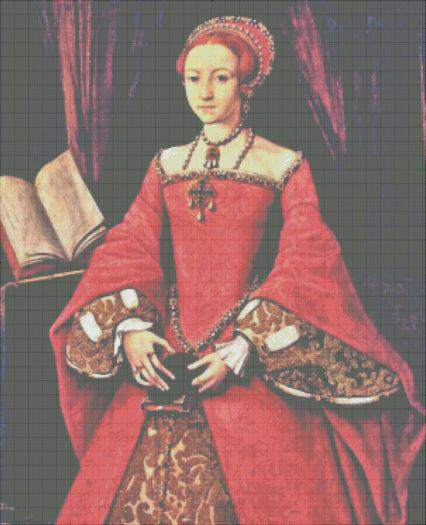 She is holding a single red flower from the base of the stem in this portrait. Very beautiful pattern and women. 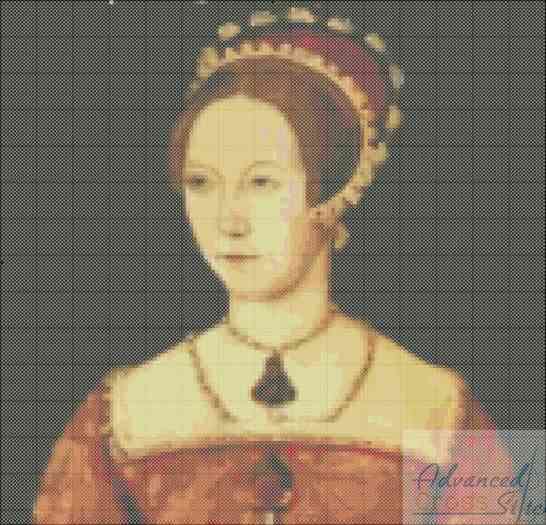 The pattern is 269×300 stitches and contains 86 colors.